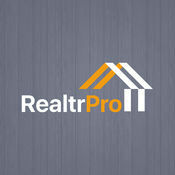 Simpalm develops and launches app for real estate agents to conduct an open house. NORTH BETHESDA, Md., August 28, 2017	(Newswire.com) - Simpalm, a lead mobile solution provider in the DC and Chicago region, has developed a tablet and smartphone-based solution for real estate agents to conduct an open house. 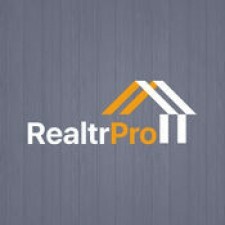 Realtr Pro is available as a free download on iTunes store, it is designed for iPad and iPhones. Most of the agents maintain a log sheet to collect visitors data during the open house, which is very tedious and time-consuming process. Realtr Pro will help agents to solve this problem, now agents can use this app during an open house to collect visitors’ data. Realtr Pro is an ideal mobile solution for real estate agents who want to get rid of paper and pen during an open house and maintain customer leads on their mobile devices. Agents can enter the property details in the app and use it to collect visitors’ data during the open house. This app will capture all the visitor feedback as well that would help agents to understand what type of dream house a buyer is looking for. This app is exclusively designed for iPad and iPhone devices with modern user experience so that the agents make entries quickly. Agent can get rid of paper and pen and capture all the details in the app. Agent can add property details for the open house. App will capture crucial customer data like phone no, name and email ID. App will also capture the dream house of a buyer. Ability to ask three custom questions from a visitor. Visitors can enter notes for the agent regarding the property. Agents can see all leads by open house and follow up with them via App. Option to send messages to the leads. Export the list of leads in CSV format. All data is backed up in a backend system. In-app purchase to add more open houses. An agent can set up their first open house for free to experience the app and its benefits. More open houses can be added by in-app purchase. "We plan to add more features and functions in the app to make it more useful for Real Estate Agents." said Piyush Jain, CEO of Simpalm. The app allows you to send feedback and suggest more features for the enhancement of the application. Founded in 2009, Simpalm is dedicated to bringing more efficiency and mobility to the world. With offices in Bethesda and Chicago, Simpalm designs and develops mobile applications and responsive websites for clients both small and large. Simpalm delivers end-to-end services including UI/UX design, development, testing, deployment, and support. It has highly skilled iOS, iPhone app developers, Android Application Developers, iPad app developers, and HTML5 developers, as well as the business experience and technical acumen necessary to build sophisticated mobile apps for any industry or vertical market. Simpalm uses Amazon AWS, LAMP and Windows Azure to build cloud-based backend support for web and mobile applications. In addition to native apps, it builds applications and websites using cross-platform technologies such as Titanium, Xamarin and PhoneGap. Simpalm has developed more than 200 mobile application solutions for startups, SMBs, regional and global enterprises, and government offices, agencies and departments. Among its clients are Flextronics USA, Forte Payment Systems, Bed Bath & Beyond, Blue Cross/Blue Shield, and Cantada. Simpalm is a leading mobile app and web development company in USA. We have delivered more than 150 projects in mobile and web domain in last six years. Simpalm built this app for its startup client based in New Jersey.